Hope this post finds everyone well. As part of the Doing Business in Brazil 101 series, today I thought we would have a brief discussion on the usual business attire. As usual, there is lots of subjectivity in this topic, but its importance should not be understated. We will be talking generalities, but my advice is to err towards the conservative side when thinking about what to wear to your next meeting. There’s nothing wrong in showing up a little more formal than most people in the room, but you can kiss a deal good-bye with inappropriate dress for the occasion. Brazil is way more relaxed than countries in the Anglosphere and elsewhere in the world. There’s a reason why 99% of the pictures online tagged with “Brazil” feature either a beach, bikinis, cocktails, or some combination of the three. One area where Brazil isn’t ultra-lax is its typical business dress code, which is far closer to ours than your typical Brazilian swimwear. Fashion and cosmetics are huge industries in Brazil. Like much of the world, appearance is critical in Brazil. Physical fitness and beauty are pedestalized, and so too is dressing the part. Brazilians judge books by their covers (we all do). And on that note, your attire is your cover both literally and figuratively. The clothes make the man/woman. Dressing well demands respect, whether that’s as a C-level executive or a floor rep for a car dealership. What you wear also helps set you apart (or helps you blend in) at business meetings, where it’s crucial to make a good first impression. Dressing too far down or up communicates that you aren’t serious or, at worst, disrespectful. Your industry plays a role in precisely what is seen as acceptable and not-so-acceptable. But before we examine the specifics, I want to quickly address another important topic—dressing with safety in mind. Dressing in any way that makes you look like a tourist should be avoided in Brazil. When I say it’s important to blend in, I don’t mean as a generic tourist—I mean as a business professional no different than the crowds of Brazilians hustling to a fro at lunch hour. Because foreigners are more frequent targets of theft (in nearly every country), blending in means leaving expensive and flashy accessories at home. Good rule of thumb is if you aren’t willing to lose it, don’t take it with you. Extravagant watches, swooping necklaces and dangling earrings should be avoided. They’re not necessary at business meetings, and they only make you prime targets for robberies. Also if you can get away with it, leave your briefcase at the office and just take a portfolio and a pen drive if you have a presentation to give. And with that PSA out of the way, let’s get down to business attire. This category encompasses industries with more casual dress guidelines, from laid-back creative advertising agencies to engineering firms to slightly stricter IT and Telecom companies. But a “laid-back” dress code is still a dress code—it’s not a license to wear whatever you want. Use these pointers as a baseline, and adjust accordingly depending on your particular industry. While it might be fine for an engineer in the field to wear jeans, an executive will dress more formally. And last but definitely not least, remember to strike balance. Never look unkempt, but also be sure not to outdo the other people at your meeting. Look neat, but don’t overdo your makeup. Keep it simple and tasteful. Like many places, creative firms in Brazil typically adhere to a very casual dress code. In some cases, that even means wearing flip-flops to the office. However, for meetings it’s still better to dress a bit more conservatively. For high-ranking executives, wear suits to meetings. For everyone else, wear suits only to very important business events. Businesses here run the gamut from Silicon Valley levels of laid-back to more traditional. If you’re not sure precisely sure what to wear, just stick to the general guidelines above until you’re more familiar with the status quo. Here, I’m talking about more traditional fields like finance, law, and most general types of businesses that don’t fall into the casual category—everything from shipping to retail. 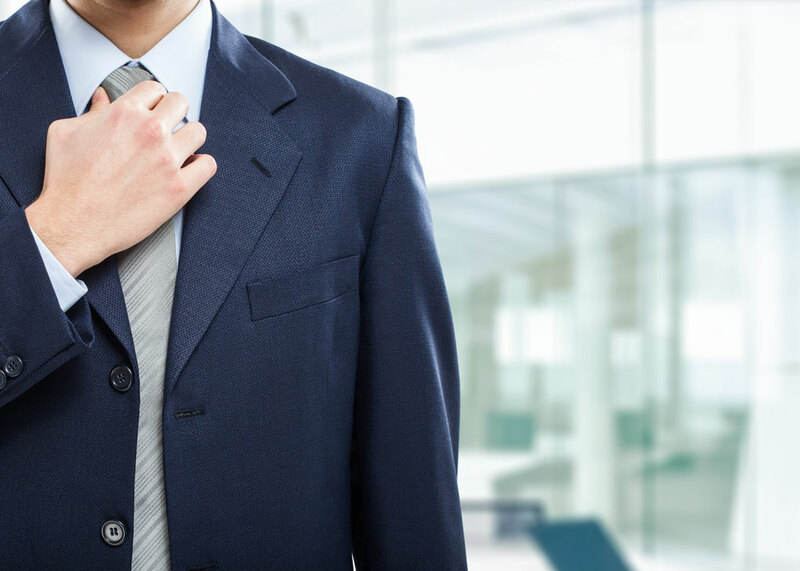 While some of these companies don’t require formal attire, casual clothes are generally frowned upon except on Fridays and never if you have client meetings. Let’s err on the side of caution. And one of the subtle nuances of Brazilian culture—your clothes must fit. Oversized, baggy jackets and bunched-up pant legs make it hard for anyone to take you seriously. Your suit or dress should be feminine without being too revealing, and professional without appearing too bland—a fine balancing act. Lawyers and bankers adhere to perhaps the most strict dress code of all. Even in the thickest, most oppressive heat of summer, you’ll still want to dress your very best. That means a suit and tie, my friends. For most sectors, business casual is the usual attire. In my own case, I wear nice jeans or khakis and a dress shirt 90% of the time. The remainder of the time I wear a suit for important client meetings or a closing. When I travel for work and I’m not sure of attire, I take a suit and tie. I will typically walk around the building ahead of time and just observe what people are wearing. If it’s more formal, I put the tie on, while if it’s more casual, I take the coat off. Very, very rarely do I put a tie on. My advice is to leave you bling at home. My day to day watch is a trusty Timex Ironman, and for more formal events I have a nice Citizen. I like my reminder alarms, what can I say. It’s much more preferable to overdress than it is to dress down. If your options are either coming across as too stuffy, or looking like a slob, which would you choose? No one is going to arrest you for buttoning one-too-many buttons on your dress shirt. Just relax, and take your cues from the people you interact with every day. It’s that simple.